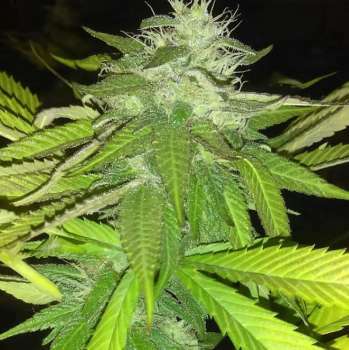 Here you can find a strain description about The Force and also some user-based reviews and infos directly from the SeedFinder (if available). You can also find the offers and auctions here if The Force cannabis seeds are on stock at MyCannapot right now. The Force (Jedi Kush x Alien Kush) is a mostly indica hybrid that you will want to get your green thumbs on. As part of the joint breeder project from several different breeders in California and Oregon, it is our second new 2017 Star Wars series strains. We expect high THC levels well above 20%. She grows bushy and the buds are dense and thick. May The Force be with you … and your heavenly garden! The Force is an F1 so you can expect lots of phenos from 2 very strong indica dominants. It is great for pain relief, insomnia, gastrointestinal issues, AIDS, stress, and ADD. Also good for PTSD. Flowering time: 8-9 weeks. Buy The Force now at MyCannapot! There are no actual running auctions for The Force right now.